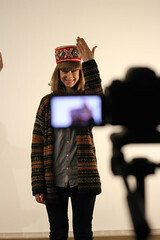 In summer 2012 the eCrafts Collective made a journey to the Latvian countryside to explore traditional women’s costumes. We had the pleasure to stay at a residency at the transdisciplinary art center SERDE in a little historical town called Aizpute, meeting many nice people who taught us crafts. 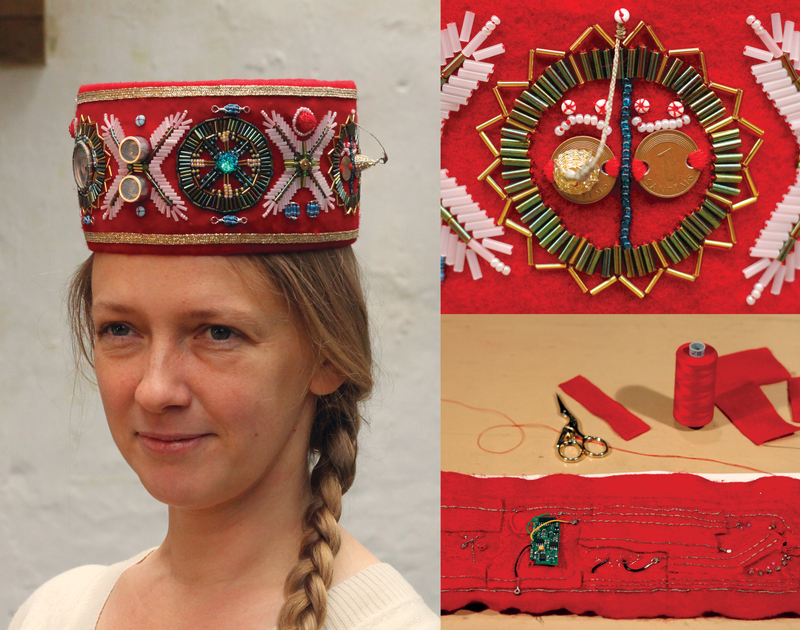 The exploration resulted in two eCrowns, which are electronic versions of traditional Latvian crowns (vainags) worn by unmarried women as a part of their national costumes. 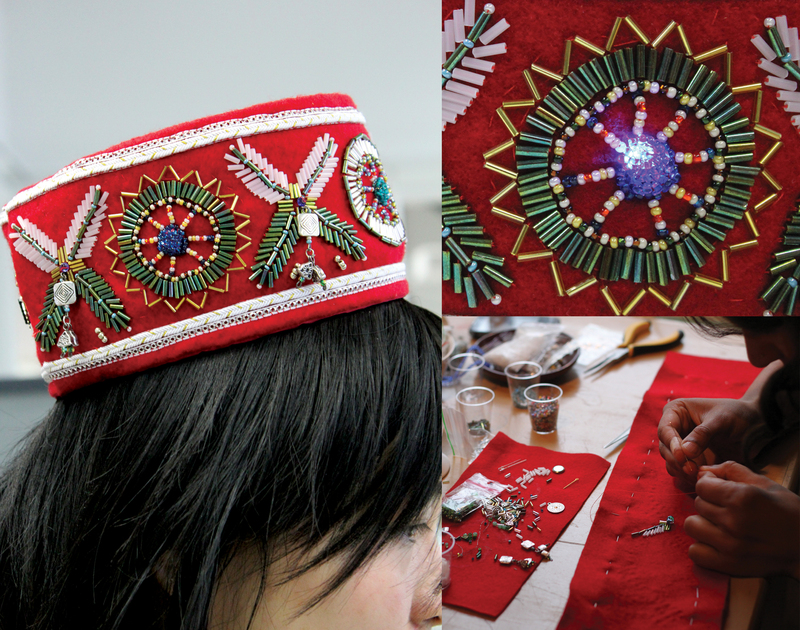 The eCrowns are based on the vainags from the Skrunda region and were made using traditional beading techniques and electronic components, giving new interactive capabilities to single women. 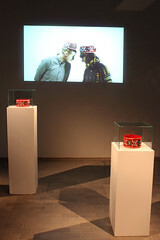 The residency was funded by Kulturkontakt Nord. Special thanks to Signe Pucena who made us feel home and for Linda Rubena who taught us how to make Latvian crowns. As the Latvian crowns are traditionally worn by unmarried women, the Sirius Crown helps single women in finding potential marital partners. Partner candidates are sensed by an ultrasonic distance sensor, which triggers sound and light effects according to the mood selected by the crown’s wearer. If a friendly mood is selected, the reception of the candidate is welcoming with green lights and happy sounds. However, if the hostile mode is on, red lights and a siren quickly repel intruders. The Dancing Crown is a fun crown to put on as it glitters and shines with the wearer’s movements. It was inspired by our experiences of visiting a local folk dance group and uses the dancing movements as a source for triggering small lights in the crown that flicker like fire-flies complementing the dancer’s steps.